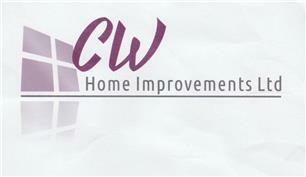 CW Home Improvements Ltd - Fascia/Soffits/Guttering, Garage Doors, Windows/Doors/Conservatories based in Luton, Bedfordshire. CW Home Improvements Ltd have over 70 combined years experience in advising and installing a huge range of home improvement products. Over 70% of our work is from recommendations. CW does not employee sub-contractors and all employees are part owners of the company. This is extremely rare in a company but it does mean that the employees of the company have a vested interest in ensuring that all work carried out is in efficient and timely manner ensuring the customer is 100% satisfied with the end result. - Roofline products, guttering, fascias, soffits, cladding, flat roof replacement using rubber or fibre glass, old double glazing repairs, misty units, broken locks, furniture, timber and composite decking, garage doors, steel or GRP, garage conversions, UPVC windows including vertical sliding conservatories, lean-to, Edwardian and orangery options, front doors, UPVC and composite bi-fold doors, including aluminium, French doors and patio doors 2, 3, or 4 part sliding.